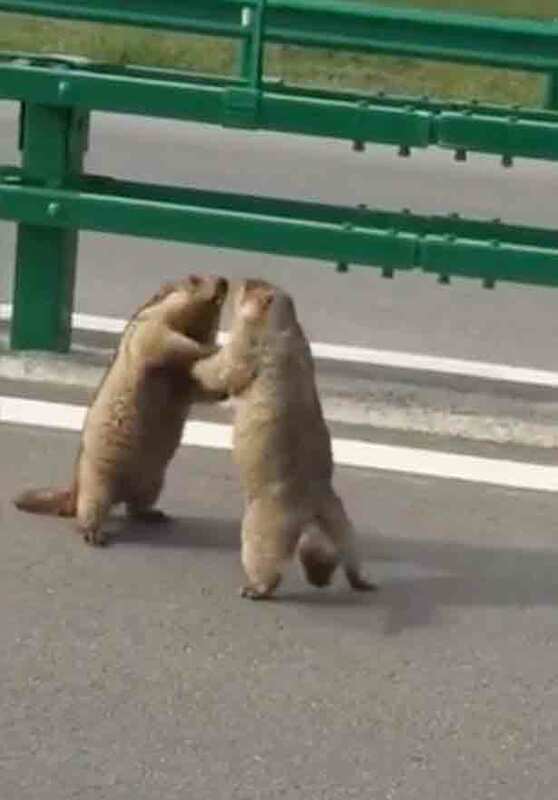 The extraordinary footage shows the large squirrels taking to their hind legs to battle it out, locking up together like a pair of professional wrestlers. Each one tries to gain control of the power struggle, occasionally appearing to grab each other's throats. 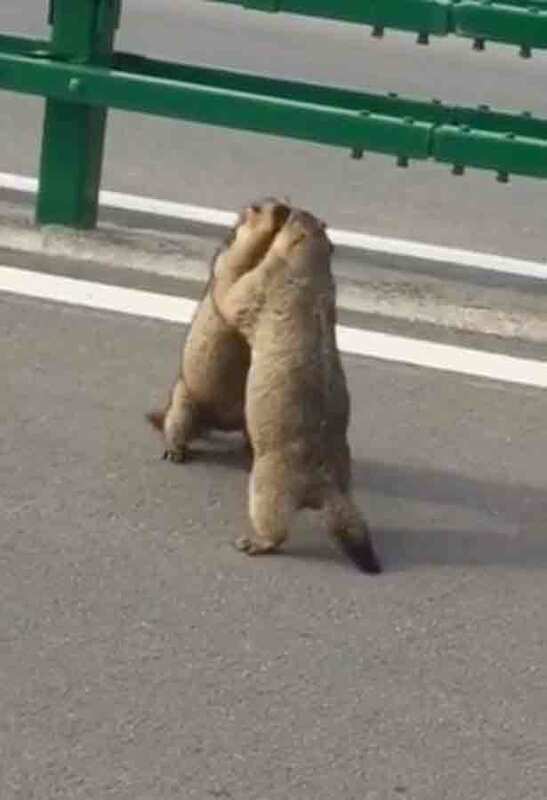 The pair could have stopped traffic with their fight which was recorded by a passerby in the town of Haixi Mongol in China earlier this month. It's not clear how busy the road the mini brawl takes place on, but you can clearly see markings on either side of a green barrier on the road sufrace. The person who uploaded the footage, said the rodents would not have been out of place in a boxing ring, as they tried to become the victor. It's not clear what sparked their little war of the road, and by the end of clip neither squirrel appears to have bested the other. Marmot is the generic name for any of the 14 giant ground squirrels. They are commonly found in North America and weigh between three and seven kilograms. They hibernate in winter and are almost entirely vegetarian.